Saturday April 1st 2017 Wobby.club and De Titaan hosted Radio WobTit live from Tilt Festival, the biggest literary festival of the South of the Netherlands (Wobby & De Titaan combined makes WobTit). Radio WobTit was a live radio show with interviews with a.o. 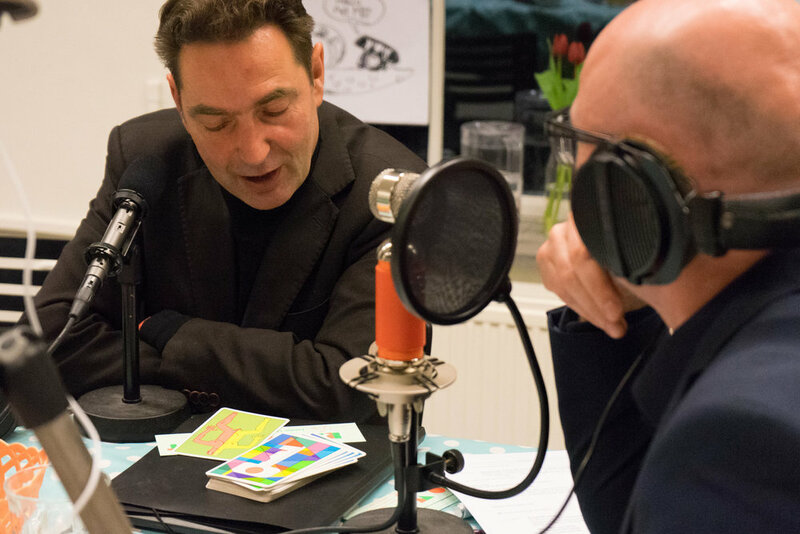 artist Paul Bogaers and writer Maartje Wortel, a radiocolumn by Gerjon Gijsbers (all guests of Wobby #9) and the famous Wobby Masterclass. Also live in the studio: writers Herman Brusselmans, De Optimist (Nikki Dekker, Jerry Hormone, Dennis Gaens and Gemma Pauwels) and Menno Wigman († 2018). Saturday april first Wobby.club and De Titaan got together and broadcasted LIVE during the biggest literary festival of the South: Tilt Festival. From 8PM until 11PM (20:00h – 23:00h) we were live from the Tilt office in the 'NWE Vorst' in Tilburg. 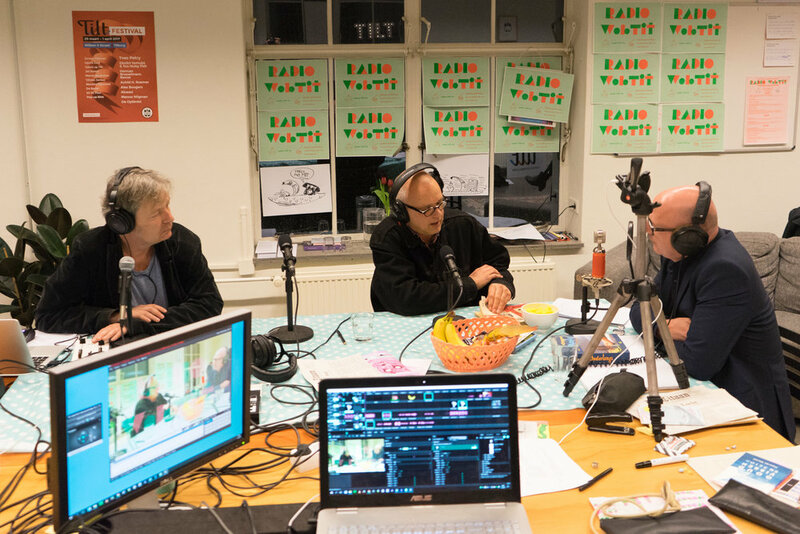 The program was also viewable LIVE through the facebook-page of Tilt, the Youtube-channel of Wobby.club, Tilburg Radio Broadcast and our own website. The audience and the listeners were able to participate in the 'Wobby Masterclass' and Lucas Meijsen hosted the tensive 'Titaan Quiz'. There was also a radiocolumn audible made by Gerjon Gijsbers (who also contributed to Wobby #9). Lukas Meijsen from 'de Titaan' interviewed Herman Brusselmans. Jeroen de Leijer had a chat with Menno Wigman based on the cards of the 'Kenjezelf Kit'. Maartje Wortel, Paul Bogaers (who both contributed to Wobby #9) and 'De Optimist' (Nikki Dekker, Jerry Hormone, Dennis Gaens and Gemma Pauwels) were the guests of the evening and Paul Dirks told us everything about his remarkable collection of pencils. Presentation and interviewing by Jeroen de Leijer. Special thanks to our tablepear Mat Wijn (a.k.a. Ted van Lieshout from Radio Bergeijk) and technical support by Hans Timmermans. Artwork by Jeroen de Leijer. Made possible by Jeroen de Leijer, Marjolein Schalk (Wobby) and Anneroos Goosen (De Titaan). Review and rehearse it here.